Meet our baby rat made of yarn. She's so sweet, I love her! And I'm so glad to make your day, that just gave me the biggest smile! Adorable!! I love rats, and this one is amazing!! I most likely will. I want to play around a bit more with the shaping. And I have to get my other promised patterns up first so it'll be a while before I can get to it. This is really so cute, I love the little feet. Åh it's so cute I love all the things you make. This really is so adorable! and it's sweet of you to make it for your son since he couldn't have a live rat. I can't wait to see the little guy finished, he's so cute right now! You are so gifted!! That is the cutest rat I have ever seen! How long have you been crocheting? This is my 7th year. Going on 8!!!! Ohhhh my when I ever saw was so excited about starting one. S it is the most adorable of all the ones I have seen so far. You are so gifted to be able to transfer yarn into the most incredible animals, etc. Will be watching. I need to get pic of my bunny and lion to put on FB.....wow that mane on lion was hard. But you make things look so easy.. Again thanks for being your generous loving self. Thank you for all the lovely comments, it made me smile. Hi, I was wondering if you sell any of the things you make! I would love to buy some for Christmas gifts! , and you have inspired me to learn to crochet so I will give it a try. you're work is beautiful ! You are so good. I come from Holland. And im 12 years old and i love to chrochet. I love your patterns. Sorry for my bad spelling. Your I like your rat do you have a pattern or video for that. What an honor for me! I'm so happy to hear that you're well on your way down an awesome crochet journey and you found my tutorials helpful at the start of it. Crochet brings so much joy. Thank you for taking the time to comment, I really appreciate it. All the best to you! 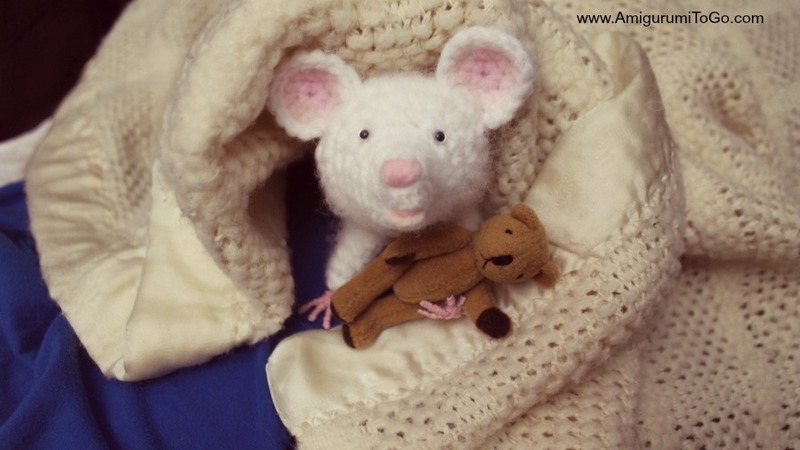 I raised rats awhile and had a white like you made for your son, I also had one that was white with a brown head, one of my other hobbies is felting so I felted the one that was white with a brown head. His name was Mr, Nibbles. He was a sweetheart, they make wonderful pets and are just as sweet as the ones made from yarn if I could post his pic here and the one I made to resemble him I would!! Thanks you are so fun!! that is awesome. I've heard they make really sweet pets. I love that name, Mr.Nibbles, so sweet! If you have facebook please feel free to post on my facebook page Amigurumi Freely I would love to see! If I do end up making it into a pattern it won't be until sometime in 2016 as I'm completely booked up with projects. I used to a few pet rats several years ago, they were totally awesome and loved to ride on my shoulder. 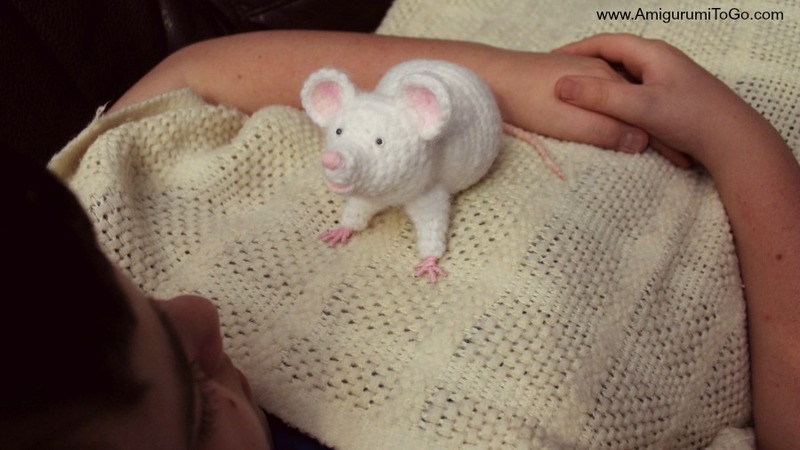 I'm looking forward to the pattern for your sweet little rat amigurui. She's adorable in the pictures you have posted here. I hope you get he pattern up for you rat. It is sooooooo cute. I'd love to make one too. Will you do the pattern post???? I met him recently looking for free patterns, and yours have loved me! They are beautiful, especially this that I've found very sweet! You do not have the pattern for this pet? I love it! no pattern for this one, sorry! 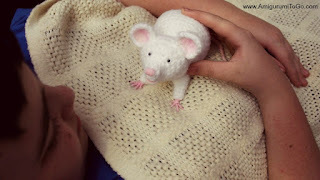 Did you make a pattern for this pet rat? It is soooo adorable!!! I would love to make one for each of my three girls.